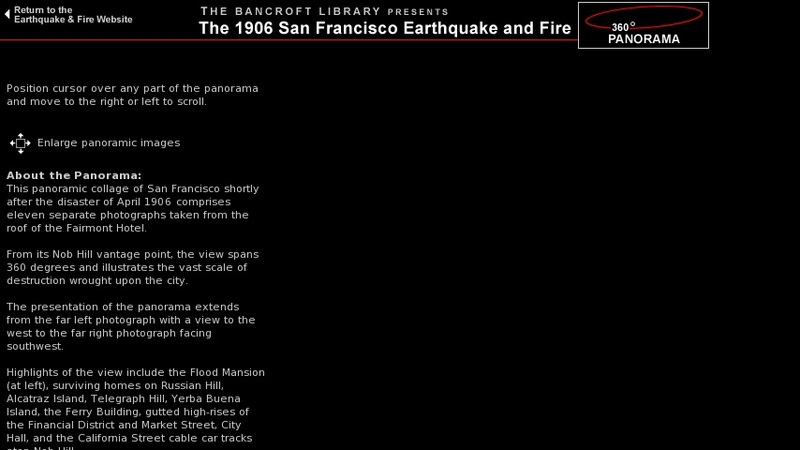 A 360° panoramic image of San Francisco after the 1906 earthquake, as seen from the roof of the Fairmont Hotel. The photographs show the destruction of the city, from the Financial District to Alcatraz Island. This panorama was assembled by the Bancroft Library from 11 different images in two different library collections, using photographs taken by two different photographers.